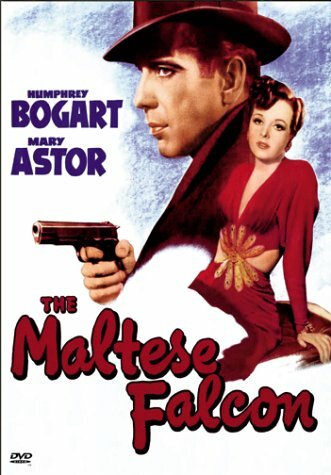 Sam Spade is a partner in a private-eye firm who finds himself hounded by police when his partner is killed whilst tailing a man. 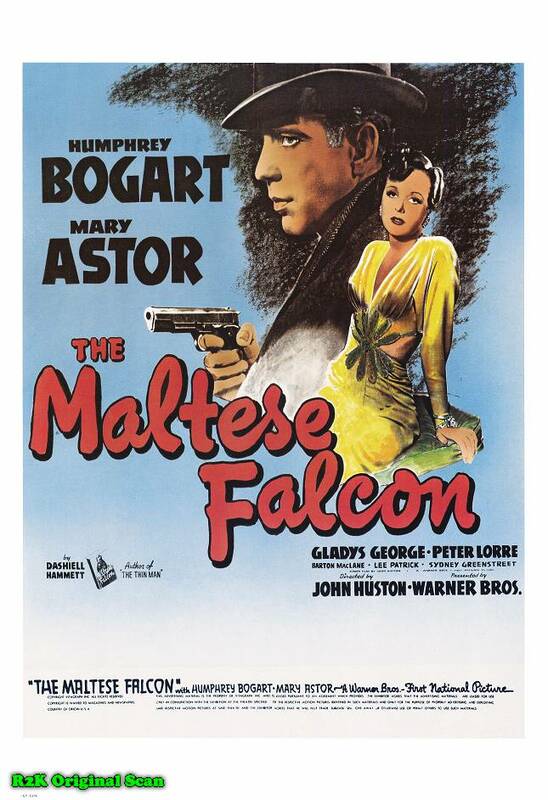 The girl who asked him to follow the man turns out not to be who she says she is, and is really involved in something to do with the `Maltese Falcon', a gold-encrusted life-sized statue of a falcon, the only one of its kind. 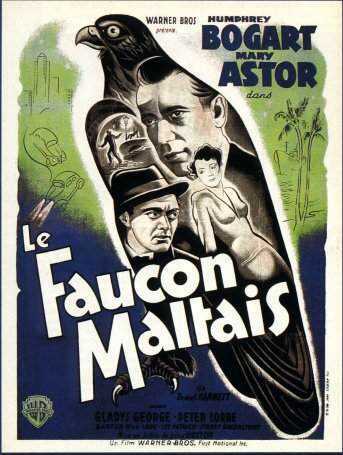 While Sam Spade is investigating the murder of his partner, he finds himself surrounded by a host of strange characters all after one thing - a statue of a falcon reputed to contain priceless jewels. Warning - avoid the Ted Turner colorized version of this movie. The Mystical Narrato Spoilers herein. There are films which shuffle the vocabulary of past films, and then there are the few films which add to that vocabulary. This is one such, and all the more remarkable because it was Huston's first. His vision was shocking and established a new genre. The conventional filmmaking skills are pretty poor on this. The photography is soso, the editing poor, the women's acting atrocious. But the manipulation of the narrative in this way was new to film. Until this point in Hollywood product, the camera was the surrogate of the theater audience-goer. You could trust it. The convention was that you (the camera) would know more than the characters you see. And everything would make sense. Here, some new things are introduced: -- the world is against the characters, everyone's life is bleak, no happy ending is in sight Many people think this defines noir. (Later, the photography would be bleak as well.) but there is another innovation here: -- the world is against you the viewer to the same extent as the characters. You get no special breaks. This was a big deal. The same year, Orson Welles would break the position of the camera. No longer would it be bound to where a human would be naturally placed. But here, the very soul of the viewer was compromised: you are swept up in the rules of the created world. That created world itself wasn't so novel to the book writers, but the notion of a mystery gave a special scaffold. The whole game there is to establish a detective in the world. Then there is a game among you, the detective and the author to see who can outguess whom. It was a great invention in narrative. Here, you still have three players, all trying to trick one another, but the author gets in the first trick -- declaring that you do not have the safety of your seat, your perspective, your own world: you have to live in the created world, the same as Spade. The Malta business was built into the book to add some notion of the ancient supernatural as an excuse to disrupt the reader. They got it all historically wrong (they meant the Knights Templar, the same folks who hid Indiana Jones' ark), and in any case glossed over that element in the translation from book to film. I think Huston was smart enough to know what he was doing. I don't think the actors were. 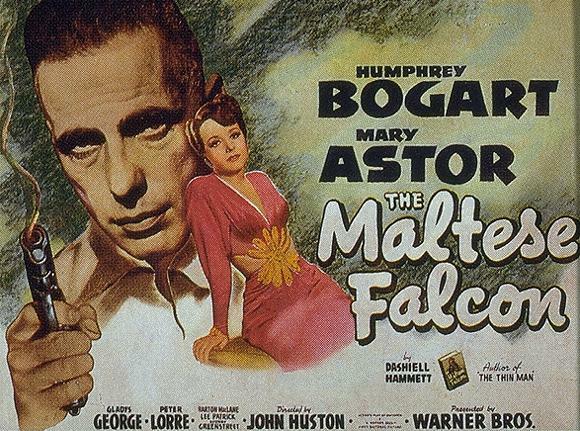 Fortunately, Bogart was effectively mean. But for my money Sidney Greenstreet is the genius here. He is the one around whom this noir world is created, so with Huston can be considered the co-inventors of the genre. 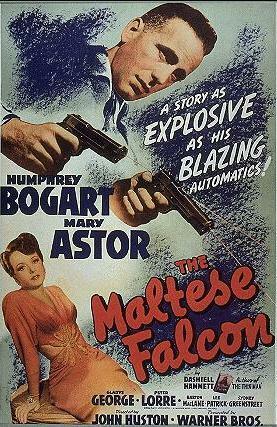 As with Huston, this was Greenstreet's first film. Imagine that.